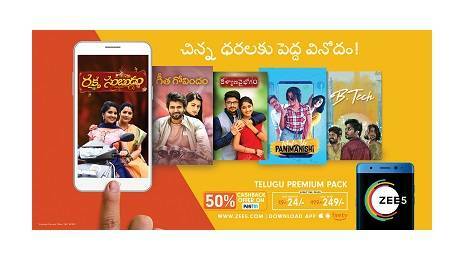 India’s #2 OTT platform, announces special subscription packs for the Tamil and Telugu audience. Riding on the success of their language content, this latest addition will enable users access to premium Tamil and Telugu content at half the price. ZEE5 is the first OTT player in India to introduce language specific packs. Power packed line up of WORLD DIGITAL PREMIERES of BLOCKBUSTER TELUGU FILMS like Bhethaludu, Ekkadiki Pothavu Chinnavada, Kaashmora, Memu among others and TAMIL BLOCKBUSTERS like Junga, Irumbuthirai, Kolamavu Kokila, Bhaskar Oru Rascal, Naalu Aaru Anju among others.